Last week, the prostate cancer advocacy community took a big step forward in saving lives. The United States Preventive Services Task Force (USPSTF) upgraded its recommendation for the first time in ten years to a C rating, meaning men should “C” their doctor and discuss prostate cancer screening. The previous D rating discouraged men from requesting the PSA test. It’s a positive step in the right direction. However, this rating is still insufficient and dangerous for high-risk men or men who without testing will develop aggressive or advanced disease. 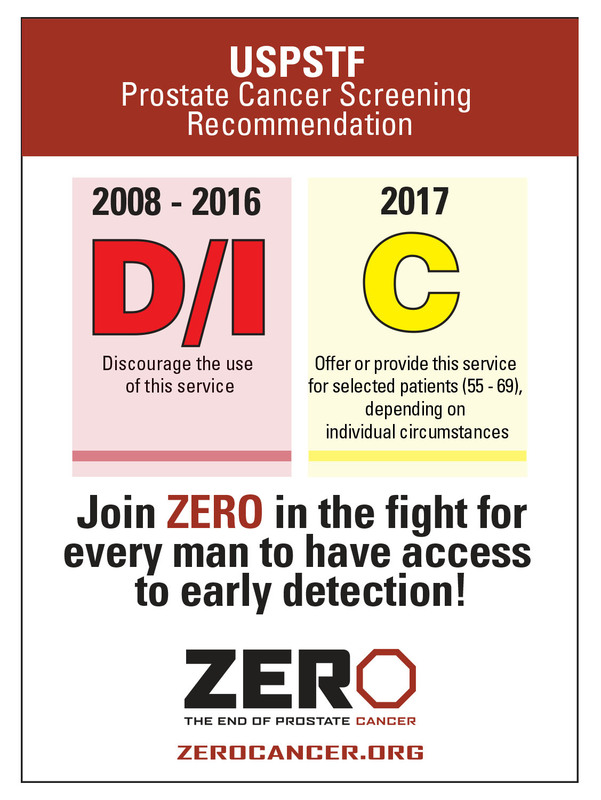 Read ZERO’s full statement on the new recommendation and check out our conversation with the American Urological Association and Men’s Health Network here. Dogs underneath desks, jeans day every day of the week, and an unrivaled passion for ending prostate cancer. What do these three things have in common? You can find them all at ZERO. As the highest-ranking cancer charity in The Nonprofit Times’ “Top 50 Best Nonprofits to Work For”, ZERO was ranked the number 10 overall organization on the list. ZERO’s position jumped 10 spots this year and is the number three ranked among all small nonprofits. This is the fourth consecutive year for ZERO to be recognized on the list! 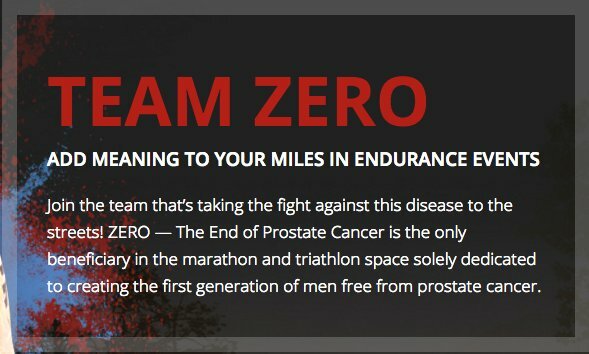 ZERO team members work hard to put passion into action to help men and families impacted by prostate cancer, and we couldn’t do it without each and every one. Learn more about this year’s ranking. 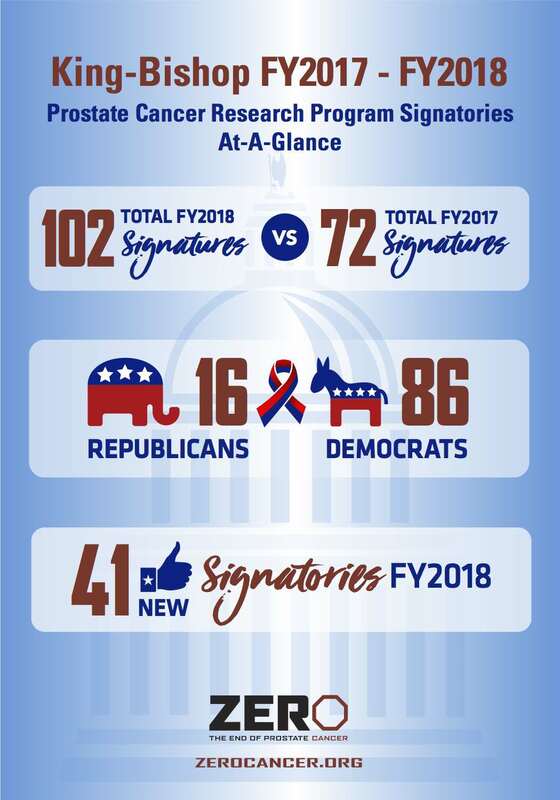 Thanks to your hard work on Capitol Hill and persistent calls and emails, you secured 102 Congressional members to show strong support for funding the Prostate Cancer Research Program (PCRP) at $90M – this is 30 more signatures than last year. We’ll share more info soon on how you can urge your Senators to keep the momentum going. 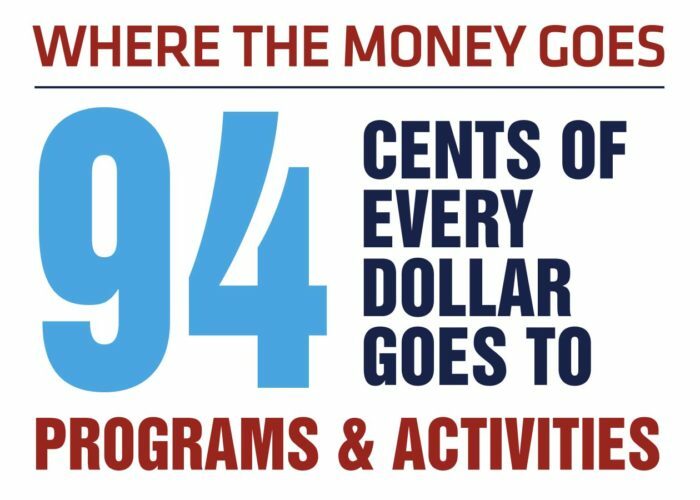 Hear from Drew Saelens, ZERO’s Government Relations VP, on the progress being made to dedicate more dollars to saving lives. For reasons that remain unclear, African-American men are 1.7 times more likely to get prostate cancer and 2.3 times more likely to die from the disease than white men. During National Minority Health Month and beyond, it’s vitally important to raise awareness of the prevalence of prostate cancer in the African American community. We encourage everyone to share these resources, as well as this infographic, with friends and family to ensure that all men are aware of their risk for the disease. Scott Moore was driving home from work one day when intuition stopped him in his tracks. 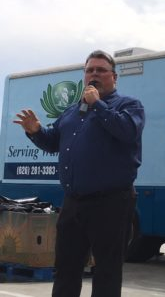 Read Scott’s inspirational story and how he is paying it forward. America has spoken! 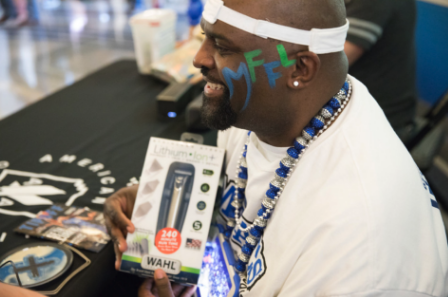 Dallas has been named the most facial-hair friendly city, and Wahl Grooming is bringing its mobile barbershop to Dallas and nine other cities this year. To honor the city’s accomplishment, Wahl is doing something it’s never done before – sponsoring Sports Fans, not a Sports Star. Those fans? The Mavs ManiAACs, the bearded, only all-male performance dance squad in professional sports. The best part? Wahl will donate $1 to ZERO for every free shave at the mobile barbershop and our fight to end prostate cancer.. Check out the list of cities. My Prostate Cancer Roadmap is a support resource for patients and caregivers impacted by an advanced prostate cancer diagnosis, featuring important information for men and their caregivers, including treatment overviews, discussion guides for doctor’s appointments, and ways to be active and stay well. 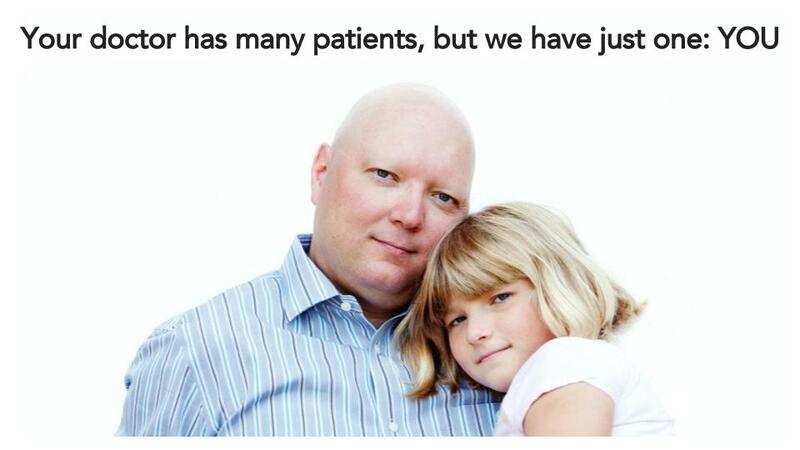 Included in My Prostate Cancer Roadmap’s available resources are six new videos of a prostate cancer survivor, Rob, featuring his wife and sons. These videos showcase how he is continuing to live a healthy and active life with advanced prostate cancer, the importance of building a supportive health care team, treatment options, and the crucial role of a caregiver. Visit My Prostate Cancer Roadmap here. Have you seen those blue ties? Thanks to our partner, Ties.com, advocates and elected officials alike are sporting them in support of prostate cancer awareness! Fighting prostate cancer takes commitment, and that’s exactly what we love to see from our donors! Workplace giving makes donating easier and your donations go even further. Hear from our Development team on how it works. Get comprehensive patient support from ZERO360, no matter where you are in your prostate cancer journey. Call 1-844-244-1309 or visit our website here.